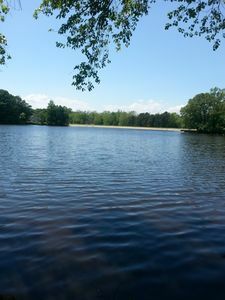 Gorgeous Waterfront Location, comfortable with a lot of room! 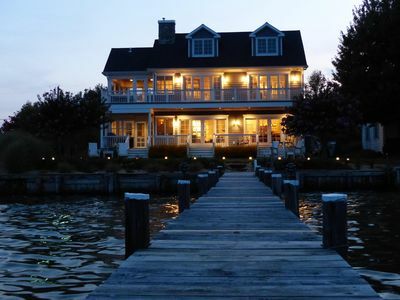 Come enjoy this newly constructed, beautiful waterfront home on the southern end of Kent Island, located facing East towards St. Michaels on Eastern Bay which is connected to the Chesapeake Bay 2 clicks away and now for the first time offered FOR SALE. 2013 is the first time this amazing property has ever been available as a vacation rental. It has 100 feet of bulk-headed shoreline and a 200 foot pier. 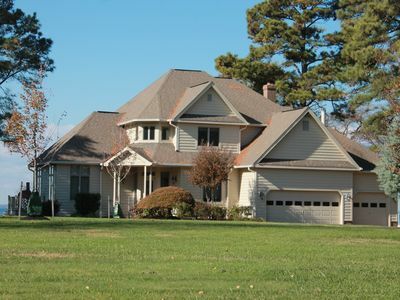 Enjoy the sweeping views of Eastern Bay, views and breezes from the sleeping porch and dining porch. Balconies wrap the entire 1st and 2nd floor water side with a screened sleeping porch on the second floor. Or enjoy the private sun deck and chaise lounges by the water. 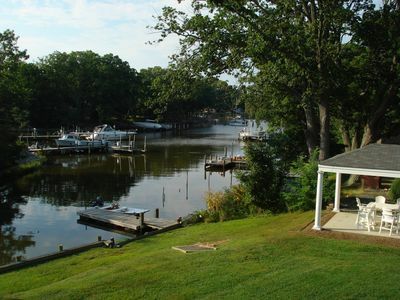 Read, tan or relax above the waves on the dock or fish and crab for your own dinner using traps on the dock. This is a once-in-a-lifetime property, reasonably priced and outfitted for large gatherings, seminars, conferences, team-building, lots of children and adults of every age. 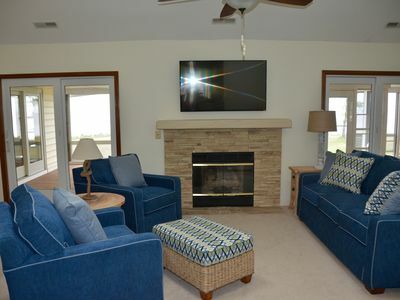 The Eastern Bay Cottage is spacious and totally outfitted, ideal for family gatherings. 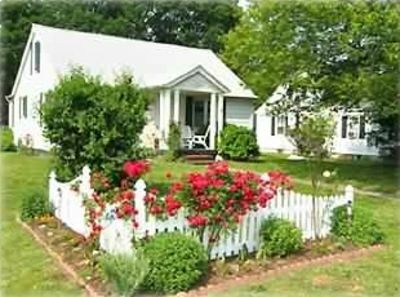 The house has three to five bedrooms, huge living room, cooks/caterers kitchen, 2 dining areas for 8 each, enclosed dining porch with outdoor fireplace, screened sleeping porch, two full baths and two half baths. 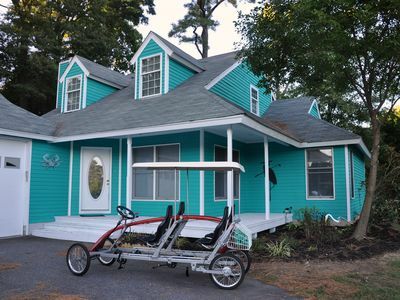 The house sleeps six and the outdoor sleeping porch sleeps up to four with additional space available for an additional fee. For parties of more than 10, a septic service charge may apply as well as a cleaning fee adder. 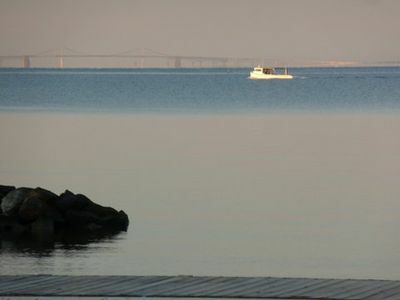 Just minutes away from the Kentmorr Restaurant, Marina and beach, the Chesapeake Bay Beach Club, Kent Manor Inn, Matapeake public beach, Romancoke Pier, Bay Bridge Marina, Kent Narrows and so much more. 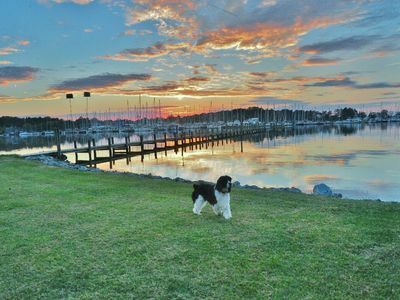 Golf, dining, crabbing, boating, kayaking, fishing, antiquing, and shopping at the outlets are yours for the asking. Only 20 minutes to Annapolis, 30 minutes to Baltimore and an hour to Washington, D.C. Please note this property cannot be used for large parties or weddings, some events are considered on a case-by-case basis. Pets are considered and smoking is prohibited inside. 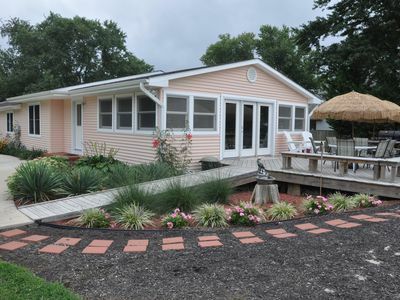 Kent Island Golf House: A Par for the Course & A Mile from the Beach & Tiki Bar! 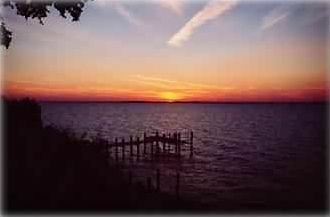 Kent Island Beach House - Chesapeake Bay Beach Volleyball & Walk to Tiki Bar!